According to the market research report published by P&S Intelligence, North American air quality monitoring market is expected to reach $2,628.5 million by 2024, owing to rising air pollution levels, increasing awareness regarding adverse effects of air pollution on health and environment, and stringent regulatory framework for reducing air pollution levels. Based on product, the North American air quality monitoring market is bifurcated into indoor and outdoor products. 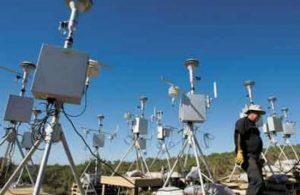 The market for outdoor monitoring products is expected to observe faster growth in North America, exhibiting a CAGR of more than 10.0% during the forecast period, owing to increasing industrialization and acid rain problems in the region. Further, on the basis of indoor category, the AQM industry in North America is subcategorized into fixed and portable products, with fixed indoor monitoring products leading the market. ENMET JANUARY 2019 NEWSLETTER – ENMET’S EXCITING DISCOUNT OFFERS!